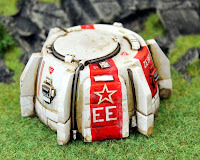 The Ion Age Blog: IAF014 Retained Lance Command Beta and IAF015 Hab Dome Now Released! 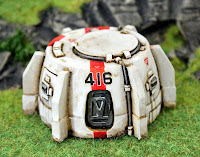 IAF014 Retained Lance Command Beta and IAF015 Hab Dome Now Released! Our miniature release this week adds more command poses to the Retained Knights. 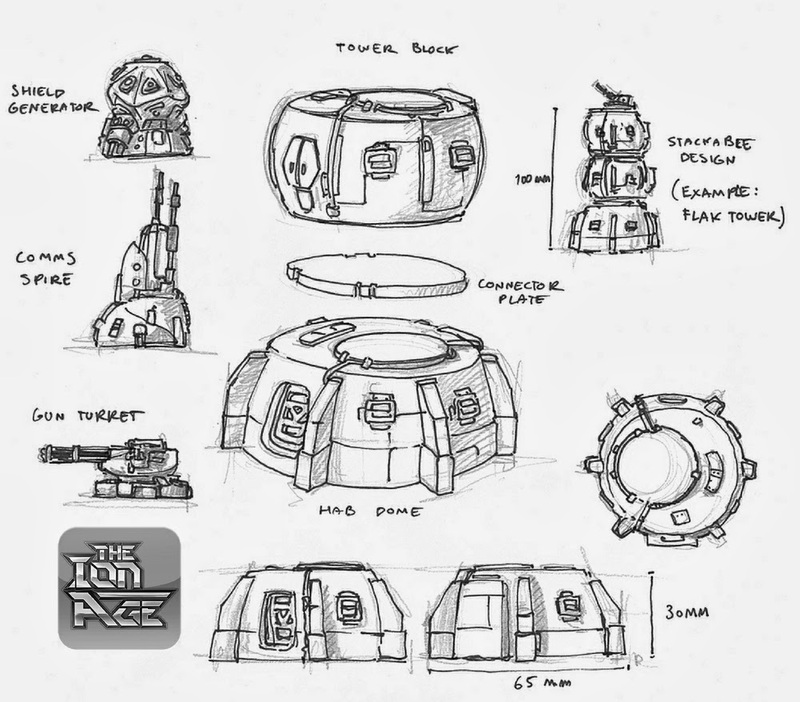 The Retained get a lot of love from IonFans and so they should being the scourge of the Khanate. IAF014 contains five new poses of 15mm white metal miniatures including a Knight with Angis Pistol (Officer), a Knight with Angis and Banner (plain pole), a kneeling knight as comms specialist, an Esquire Medic with datapad and a poor soul who has departed life laying on his back dead (casualty). Great for characters and for commanding anything from a Demi to a Lance and beyond. As always this code can be bought as a pack or as single miniatures or select the three packs and save 10% option on the page. Go HERE. Price 2.50GBP per pack. Early on in the initial expansion of Humanity back to the stars within the Prydian Precinct it was noted that although large cities could be built given time in the short term a need was logged for structures which could cope with variable terrain and planetary conditions. Designing such structures was beyond the abilities of all but the core systems who turned to the pioneers who created the ubiquitous Rubbacrete and Golglass. These pioneers created materials which revolutionised construction and brought about massive improvement in lives all across the Precinct; The Seorc Compono Guild. Seorc Compono Guild (SCG) brought their finest minds to focus on the challenge and created one of the miracles of the century the Habitation Dome Riser System (HDRS). The HDRS would be standardised and shipped aboard vessels heading off world anywhere in the Precinct where they could quickly accommodate a sizeable population. It would be more than housing though as the HDRS featured additional modules which could expand the living area and turret or assembly mounts for specialised purposes. 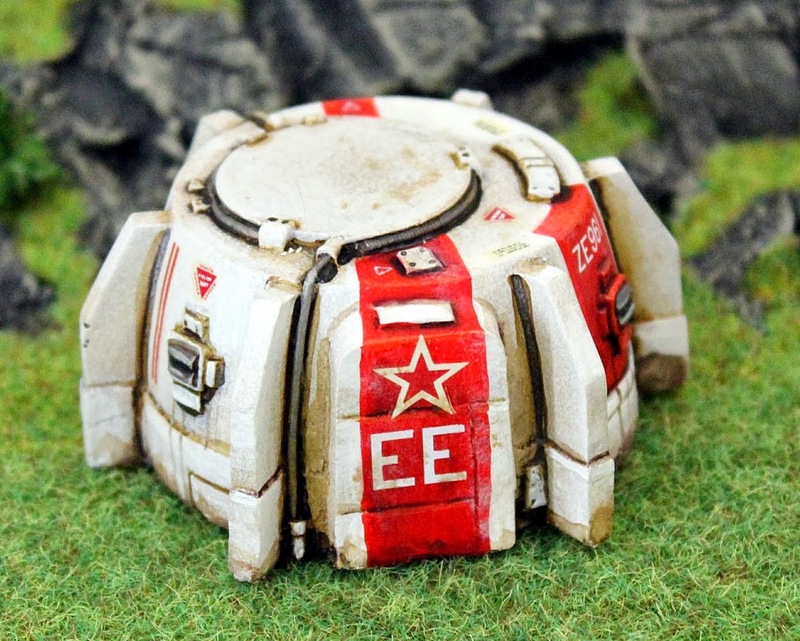 These purposes varied but typically they included self defence, fortification, repulsar platform landing pads, spire communications, hurwent shielding and power generation among others. 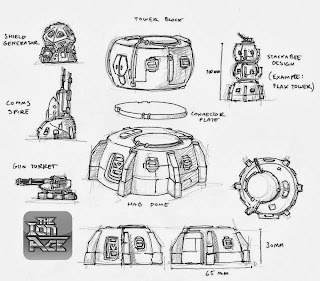 The HRDS can be found on more than fifty planets and countless vacuum environments (it is a pressurised structure system) and is utilised by everyone from the Prydian Army to the lowest of the Marcher Barons and civilian authorities too. Single Hab Domes to small groups and hard points right up a city of a hundred thousand people all in HRDS towers. In some locales they never got around to replacing them before the Civil War began. Camarthan Prime was one of those places. This week we release our first 15mm resin building and give form to the structures of The Ion Age. Fabricated by the Seorc Guild Hab Domes have many uses and can be found all across Prydian space. 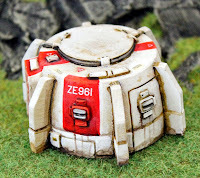 The Hab Dome is the starting point for a whole series of resin structure system for The Ion Age in 15mm scale. The Hab Dome is the basic unit for future stackable and adaptable units. It can be used on its own or with future releases. It is a high quality grey tone resin one piece casting which is 65mm wide and 30mm tall with a high degree of external detailing. Suitable for use in any science fiction setting as well as The Ion Age. Decorate your wargame table. As always this code can be bought as a pack or as a single or select the three packs and save 10% option on the page. Go HERE. Price 7.00GBP. 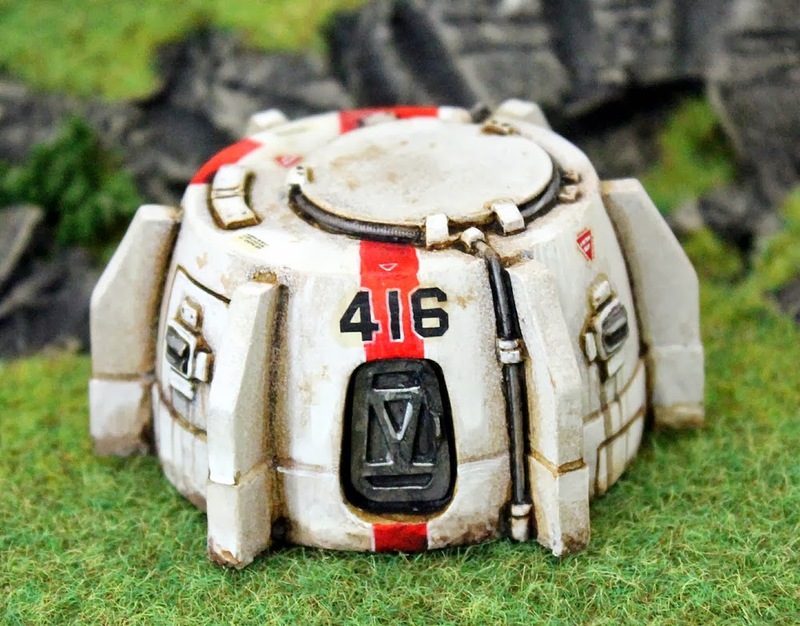 Thanks everyone for your massive support in the Early Supporter Offers on the now released IAF015 Hab Dome. So October is going really well for the Ion Age, thank you especially those who came in for half a dozen domes at a time. As a side note it is no good asking us for the Noblesse that was included in the deal she has gone away now not to be seen until next year as per the offers. 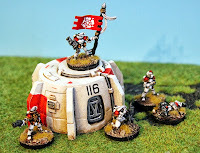 As well as the Hab Dome we have a new Retained code by popular request to expand the lance level command options for players in the Prydian Civil War setting. The rest of the month will see a lot more new by way of new material so keep an eye to the Ion Age Blog. Next week we are all about the ladies. 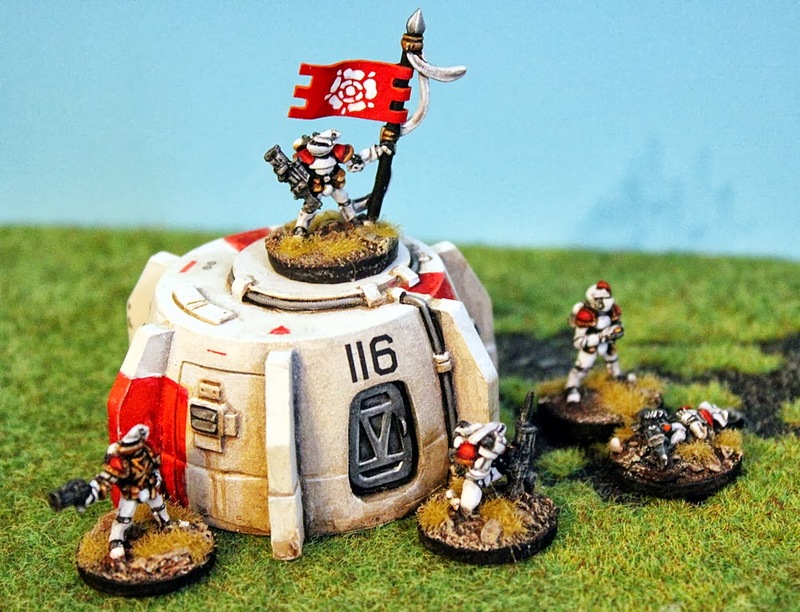 Remember when you place an order with us you will be promoted to join the loyalty scheme which will earn you Reward Points on all purchases which can, once accumulated, be redeemed for discounts and special miniatures. October 2013 for The Ion Age! Patrol Angis Week Five Round Up! 1000 Views on an Ion Age Blog Post...Thank You! Patrol Angis Week Four Round Up! Ion Age Poster Prints are Coming! Patrol Angis Week Three Round Up! Hab Dome Bundle Offer - Preparing to Ship! IAF013 Murdo & Galaine Released! Patrol Angis Playtest Week Two Round Up! Female Retained Knights - Sculpted Poses Update!